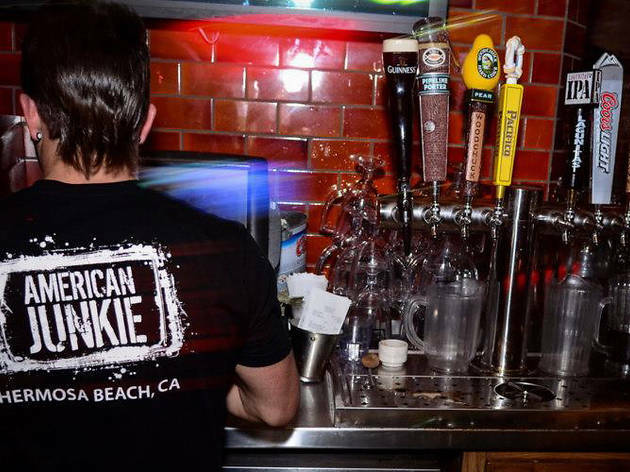 This Hermosa Beach enclave boasts classic American cocktails, craft beers, American whiskeys and bourbons and wines—on top of their daily happy hour (3-7pm) and late-night happy hour (Mon-Tue 11pm-1am) and 20 plasma TVs. Stop by for a drink and catch the live UFC fighting match, while digging into their Thursday $2 tacos. If you're not there for a game, opt for table outside to enjoy Hermosa's weather and people watching. At night, expect the casual, sports bar vibe to disappear as the tables make way for a dance floor. In back, there is a club-like atmosphere as well, if that's more your scene. 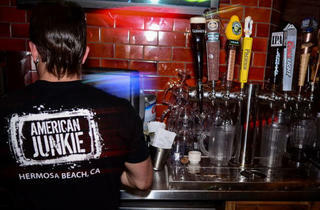 American Junkie is one of my favorite day-drinking spots. Though there's not a ton of tables outside, the whole wall opens up so even if you're inside you still get to enjoy the fresh ocean air. At night, it turns into more of a dance scene. There's good bar food and a decent amount of drink options.